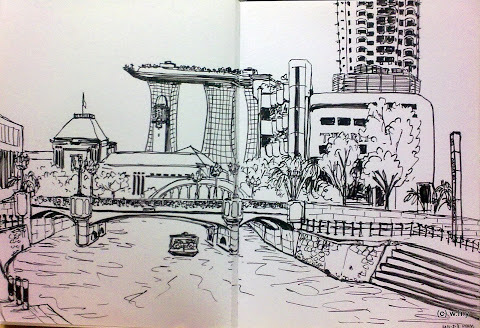 Had an appointment near Clarke Quay on Tuesday morning. 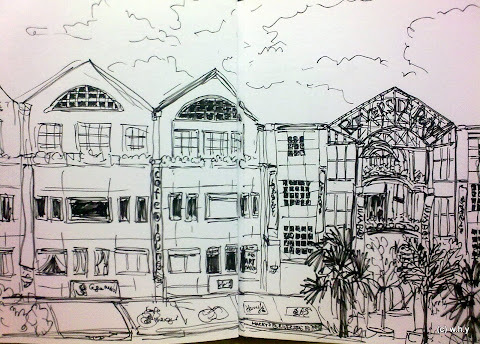 I went earlier and did a sketch outside the Central. After the appointment, I came back for more sketches. 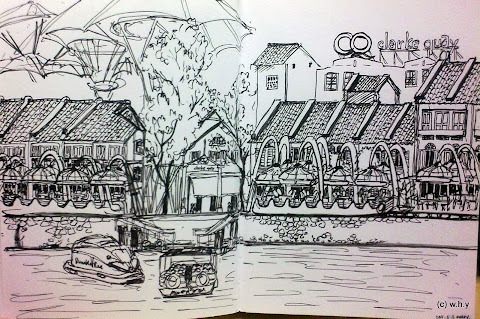 It is a very quiet and peaceful place to sketch in the early morning. The only complain is, I got sunburn because it was too sunny and hot and I forgot my sunscreen!